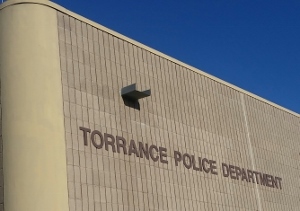 Our client was arrested after the Torrance Police reported to a Torrance area hotel on Pacific Coast Highway a few blocks east of Crenshaw Boulevard to arrest a suspect on a different case. Torrance Police knocked on the door and their suspect opened the door. Detectives then pushed the door open and arrested their suspect. Our client was inside the same room. Detectives searched the room and found two bags of methamphetamine, a digital scale with a white powdery substance right on it, three glass methamphetamine pipes, and about ten hypodermic needles. Police arrested our client for possession of a controlled substance for purpose of sales. She was not arrested for possession of drug paraphernalia. The client, age 26 and from a good family in Palos Verdes, was extremely embarrassed about the arrest. She had a good job and, by all outward appearances, appeared to be on an upward path. However, she had actually developed an addiction to methamphetamine and was selling methamphetamine to support her habit, as is not uncommon. About This Summary Briefly: Cases involving possession of a controlled substance for sales, when the amount is small, are sometimes resolved for mere possession, especially when the client is young and seems to have opportunities and support from a family for a better future. This case epitomized this situation and Prop 36 was permitted for a possession charge instead of sales, although the case was truly a sales case. The client came to Greg Hill & Associates based on a referral from another client who our firm had represented. The client met with Greg Hill and explained what had happened. Greg explained how she would most likely be ineligible for any diversion program (i.e. Prop 36 or PC 1000) because the charges most likely would be for possession for sales, but that prosecutors often will amend the complaint to allege simple possession or they will allow informal diversion. If a prosecutor is inclined to do this, it is critical that the prosecutor believes the defendant deserves a second chance and will never return to court on a further similar case. In the client’s case, Greg appeared with the client at the arraignment and was pleasantly surprised to see that our client was charged with one charge of Possession of a Controlled Substance for Sale (Health & Safety Code Section 11379(a)), a felony, and Maintaining a Place for Selling or Using a Controlled Substance (Health & Safety Code Section 11366), also a felony. The reader of this summary may not immediately understand why “pleasantly surprised” can be used to describe the charges. The reason is because the second charge, “maintaining a place for sales,” is a charge that prosecutors often are willing to offer diversion to resolve. It is worth noting that our client could have also been charged with possession of drug paraphernalia (Health and Safety Code § 11364), but was not. In this case indeed, Greg Hill & Associates was successful in having the Torrance District Attorney agree to dismiss the first charge, sales, against our client. Our client then pled no contest to Health & Safety Code Section 11366 under the condition that she avoid prison and instead enter the Prop 36 program. Upon completion of the program, the client’s “no contest” plea would be withdrawn and the entire case would be dismissed against our client. This arrangement allowed our client to “earn a dismissal” by successfully completing the Prop 36 program. She would be able to avoid the felony conviction, which would otherwise most likely have ruined her employment opportunities in the future, as well as all the questions and family pressure she would have faced by being unemployable due to having a felony record. Had our client fought her case at trial and been found guilty on all counts, she faced a maximum of five years in prison. Approximately one year later, our client did in fact complete the Prop 36 program and the case against her was indeed dismissed.